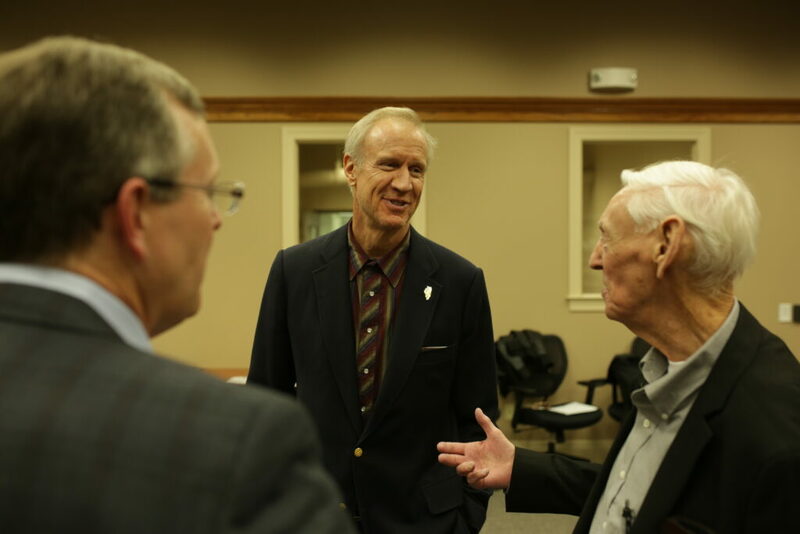 Governor Bruce Rauner of Illinois visited Forge Resources Group and the Dekalb Forge facility. FRG president Don Jones led the governor and his team on the tour of the production facilities. Recent expansion of die design and CNC machining capabilities highlighted the tour. The governor also spoke to the FRG team and local media regarding bringing back manufacturing jobs to Illinois, and implementing additional manufacturing education at the state level. We look forward to having the governor back soon.